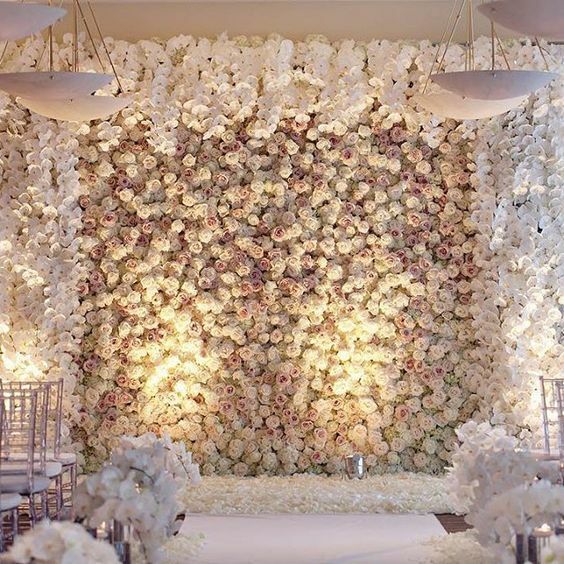 A flower or hedge wall is the perfect accessory for a wedding or big event! It doubles as a gorgeous decoration and a photo background. There are so many ways to incorporate your wedding colors into the flower wall, too! Instantly create a romantic atmosphere with white and blush roses. Tip: if you use fake flowers you can keep it for other uses, too! 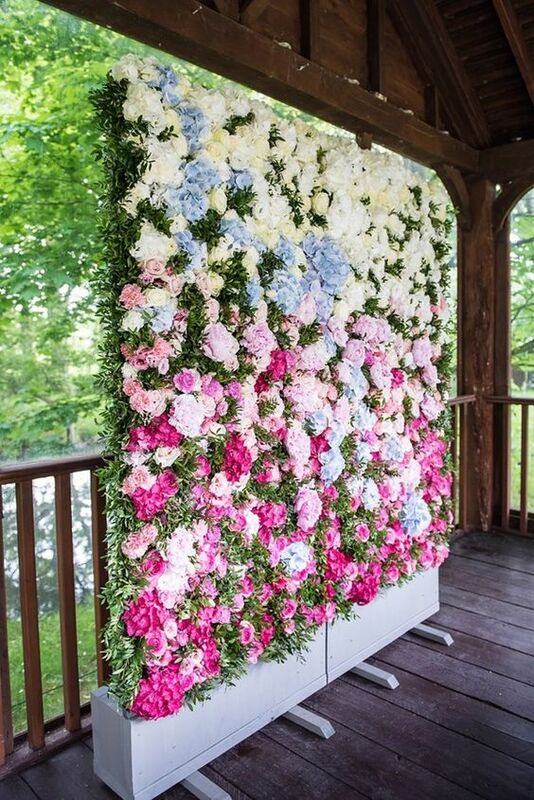 No matter where you put the flower wall it will be sure to turn heads at your wedding!